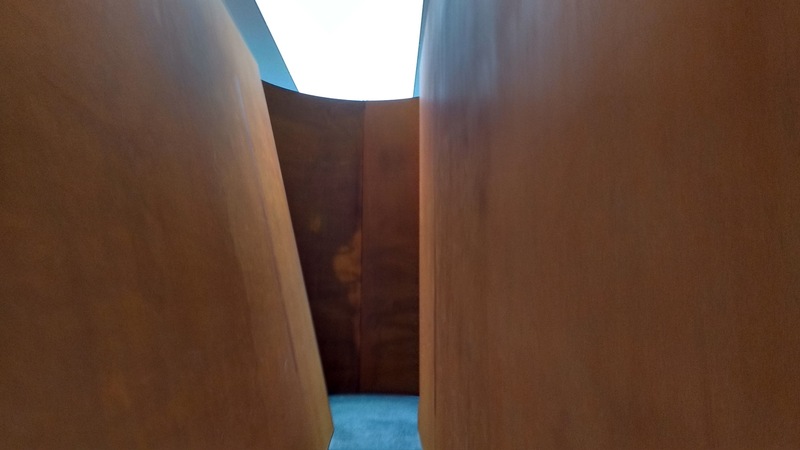 Don’t call Richard Serra’s sculptures “minimalist.” For anyone who’s had a close encounter with his work in the past decade, labeling his burnt copper monuments as such feels useless. And untrue. For me, his recent exhibitions (I’m thinking of that astounding 2007 MOMA show, but also his long-term installation at the Dia: Beacon, certainly worth the trip) are the last word in viewer-art communion. The current piece, NJ-1 at the Gagosian in Chelsea not only engages; it transports. Walk inside—or simply stroll its borders—and find yourself subsumed within a realm that feels not quite of this earth. Everything (especially New York) vanishes: it is only you and the world he’s created, working its magic like a sibyl from a galaxy far away. At once trippy and profound, NJ-1 seduces the way you wish most modern art did—don’t miss it, and the companion exhibit at Gagosian’s other space (555 West 24th Street). Your mind will thank you.